I first heard the word yanantin back in 2000 when I traveled to Peru to learn about Andean indigenous philosophy. Something about the word resonated deeply within me. Perhaps it caught my attention because it felt so counter to the Western paradigm that I had been raised in, a paradigm in which the opposites are typically seen as antagonistic and, therefore, as existing in a perpetual war for dominance. Seven years later I returned to Peru to conduct an ethnographic study in which I would attempt to shed light on indigenous Andeans' psychological experience of yanantin. Yanantin and Masintin in the Andean World recounts the events that took place during my fieldwork in Peru as I attempted not only to understand but to integrate complementary dualism within my own worldview. 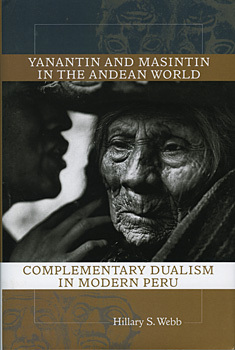 "Yanantin and Masintin in the Andean World recounts the compelling scholarly and personal odyssey of Dr. Hillary Webb, an anthropologist who came to understand the Andean complementary worldview as a sophisticated and practical philosophical model and, in doing so, was transformed both personally and professionally. Many readers of this book will no doubt be transformed as well." "An outstanding, important work ... In addition to adding to the ethnographic literature about these fundamental concepts that inform Andean world views, it adds a fabulous case example that will be cited long into the future."